In June 2000 a People’s Jury was held in the Coalfield area of East Ayrshire to identify the ways in which people within the community could be encouraged to play a more active role. The report highlighted infrequent and inaccessible transport as a major barrier to social inclusion and as a barrier to participation in a wide range of areas including the economic, social and the cultural regeneration of the area. 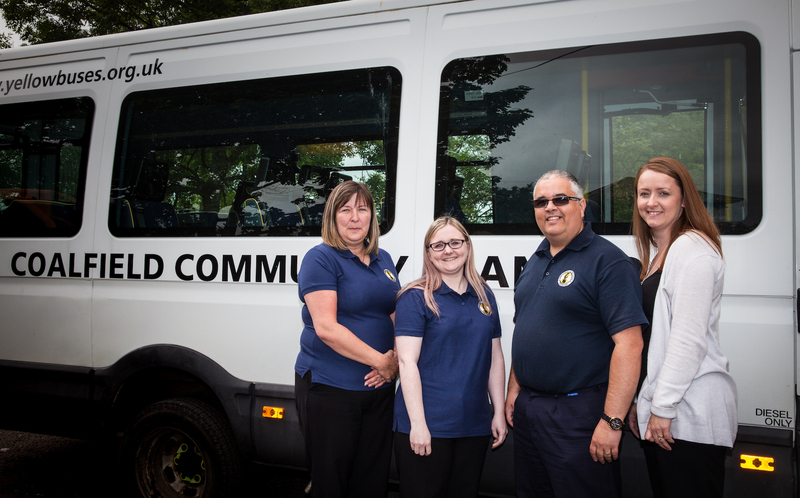 The Coalfield Community Transport initiative aims to address the needs identified by providing affordable and accessible transport to community and voluntary groups to enable them to participate more freely in social, recreational and community activities. The Coalfield area covers 345 square miles in the South West of Scotland and is mainly rural with over 17 scattered settlements in diverse country often with limited access to local resources. High unemployment means that many families cannot access services nor afford to use public transport. Each local community has distinct, often differing needs. Access to transport provides an important link to friends, family and the wider community and is a vital lifeline to retaining independence for our older residents. The Coalfield area has an ageing population, a generation now trapped in their homes with many never having been to Ayr, the county town of Ayrshire 16 miles away. Our young people also have problems accessing recreational and social activities and many youth groups have become members to access the minibuses. In today’s modern age of the Internet and ‘holidays in space’ we still have young people who have never been outside of the Coalfield area.